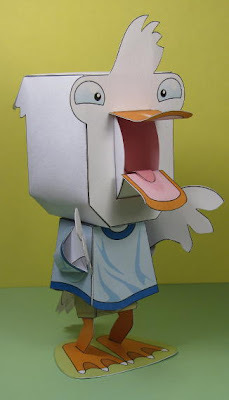 Here's another paper toy, a duck who all-of-a-sudden can go from minding his own business to completely losing his frontal lobe capacity. Shock Duck features a movable mouth, turning arms and a turning head using exciting flat axle technology! Another exciting feature of the construction is that these movable limbs are literally screwed into the body. 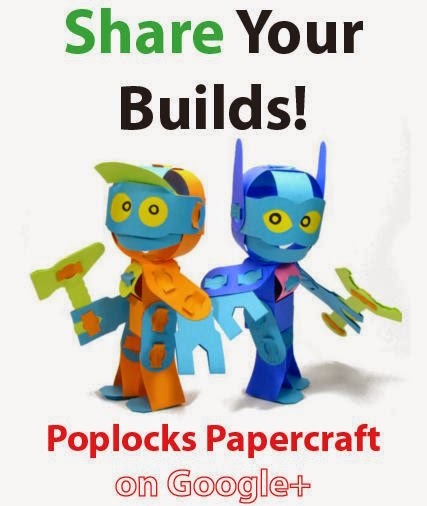 It's easier to glue together AND just about twice as fun to assemble! The step-by-step illustrated instructions will show you what I'm talking about. Ilikechxmx transmuted love of music, dance and paper modeling into bits and bytes and uploaded them into green Poco Bot, who is obviously unable to contain himself. Watch him tear up the dance floor!